A 20ft shipping container offers companies several advantages when it comes to transporting products across the country. However, shipping containers are now being used beyond their intended purpose. The truth is that 20ft shipping containers are perfect for many uses. 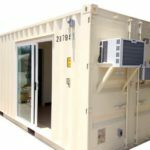 Here is some information about how shipping containers can be used in unique and fascinating ways. It can be costly to use traditional building methods to construct schools. Fortunately, shipping containers are a cost-effective solution to this problem. Shipping containers can be modified to include windows, doors, and heating and air conditioning units. Shipping containers can be used as temporary structures for specialty events with pop-up stores. 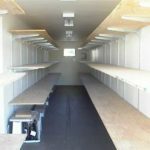 Since shipping containers are easy to transport, the setup and tear down of specialty events can be made easier by using them for pop-up stores. Believe it or not, shipping containers are being used across the world for housing. Using shipping containers as housing is an excellent idea for individuals who want to reduce their environmental footprints. 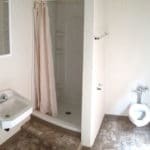 Another advantage of shipping containers is that they are affordable and functional. Shipping containers have been used as homeless shelters in Brighton, England and as student housing in Amsterdam. Shipping containers are ideal for home craftsman who want a dedicated space for projects and tools. Some artists have used shipping containers as professional and home studios. 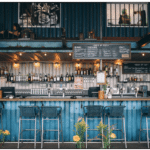 Shipping containers are excellent foundations for outdoor food and drink kiosks because they can hold up against the elements very well. 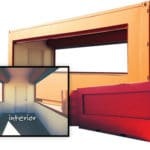 Many companies have begun to realize the sturdiness of shipping containers and have been using them for outdoor kiosks. In Melbourne, Australia, Phooey Architects used shipping containers to create an activity center for children. Thanks to how sturdy shipping containers are, this playground will remain in good condition for decades. 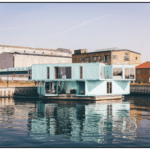 If you want your own vacation home but don’t want to spend a fortune, you should consider using a shipping container to create an efficient and simple living space for annual getaways. This is a particularly good idea if you already own land. Shipping containers can be an excellent solution when modified and adapted. Certain cities and countries around the world are dealing with spacing issues for their student populations. Office space has become limited in some countries due to concerns about spacing. An alternative to traditional office buildings are modified shipping containers. A huge advantage of shipping containers is their stackability, which allows for convenient construction. Shipping containers have been used as a base structure for many restaurants in major cities like Montreal, New York, London, and Paris. Shipping containers have been used as makeshift hospitals in health emergencies. 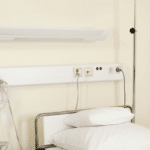 A shipping container can serve as a moveable workstation for health professionals. Many countries incorporate shipping containers in their emergency preparedness planning. After a disaster, shipping containers can be used as a temporary shelter for individuals and families who have been displaced. 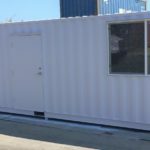 Organizations and companies that want to ensure the sanitary conditions of a site are starting to use shipping containers as an alternative to traditional portable toilets. The size of shipping containers grants more mobility and privacy to users. Shipping containers tend to be narrow, making them perfect for the growing and nurturing of a garden. If you’ve always wanted a garden but don’t have space outdoors, you should consider getting a shipping container to start an indoor garden or nursery. Evidently, there are many unique uses for 20ft shipping containers besides the transportation of goods. 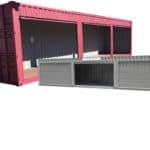 If you’re interested in learning more about the perfect uses for shipping containers, don’t hesitate to contact us. 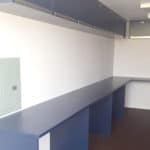 You can also reach out us to learn more about the shipping containers for sale we have. Some of the options we offer here at Aztec Container include office, cargo door, roll up door, car storage, walk-in, and more. We have refrigerated and insulated options.